No serious marketer or growth hacker is unfamiliar with the work of Seth Godin. Godin has written 17 books and become a popular public speaker regarding issues like entrepreneurship and customer service. 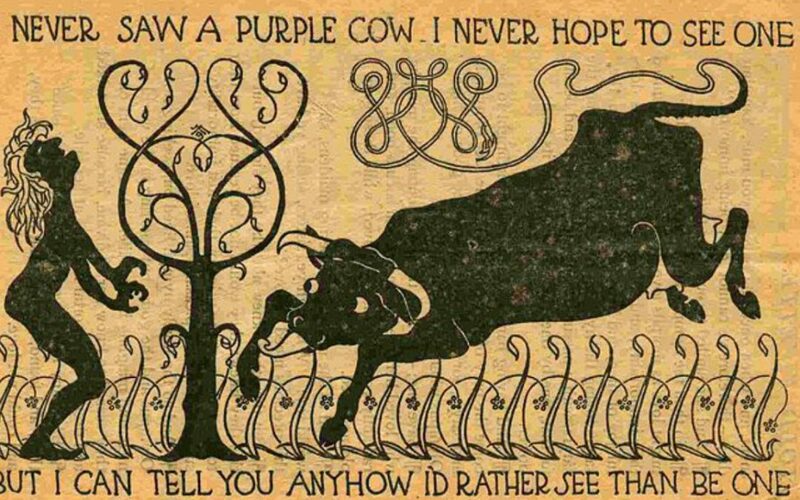 In the Purple Cow, he talks about the power of being remarkable. He argues that your product or service should be so well designed and so unique that it is remarkable. This way the product will market itself. It’s much easier to sell a remarkable and wildly unique product that sticks in the mind of the consumer, rather than a product which is simply better than anything else on the market. It sounds like an obvious strategy but it’s one entrepreneurs tend to ignore. To put it simply, most businesses are not remarkable. They are not extraordinary. They are boring in normal. As business people it is out job to ensure our product or service is remarkable, if we are to take inspiration from Seth Godin. I explained this one in the intro. You’re product should be remarkable, but for good reasons. A business should not have remarkably bad customer service. In this new age of social media and consumer freedom, traditional forms of advertising are less effective than ever. More than that, they were never THAT effective. Traditional forms of advertising, like tv commercials and banner ads, are a waste of money at this point. Banner ads have a successful return rate of less than one percent. Because advertising can no longer be relied upon, you should make your product remarkable – so that it will be easier for people to learn of it through word of mouth. It will give you the best chances of success. Godin talks about how more people consume marmite than hot sauce. But there are more successful hot sauce companies than there are marmite. This is because there is no real market for marmite, but there is for hot sauce. There are dozens of remarkable hot sauce companies but basically none who make marmite, that’s just the way it is. So it makes more sense for a new business to build a product for the hot sauce audience than for the marmite audience. People get excited over hot sauce. You need to choose the right market. Staying true to the lesson above, you should find a good niche which doesn’t already have a dominant business geared towards it. There are a number of advantages that come with this. Firstly, communities interested in small niches will be easy to accommodate with your business. Secondly, they can become your stable audience for your product to grow from. Thirdly, choose the right niche and there will be little to no other companies competing with you. There’s no need to bite off more than you can chew; choose a niche. Otaku is a Japanese term describing an obsession with something very specific. In Purple cow, Seth Godin says business owners and CEO’s should have an otaku for their area of business. He gives the example of Starbucks. The long-time CEO of Starbucks, Howard Schultz, has an otaku with coffee. He loves it. And as a result he’s desperate for Starbucks to sell the best coffee in the world. You should have an otaku for your chosen area of business. It will give you a huge advantage over those who don’t. I think this book needs to be taken with a grain of salt considering there are many successful companies with mediocre products and services, who continue to successfully use traditional forms of promotion. But having said that, I believe what Seth Godin says is right. It does make sense to engineer your business to be a purple cow, for the already mentioned reasons. Also remember, you’ve got nothing to lose by being remarkable. It’s all upside. Yes. I’d recommend it to anyone in any business. Any type of business can be improved by utilizing the teachings within purple cow. It’s well written, with plenty of real-world examples to broaden your understanding of the purple cow. I would especially recommend the book to anyone involved in marketing because a lot of marketers don’t really understand their own occupation.